Imagine running a half marathon per day for 10 days straight! Anyone who’s run a half marathon will know how physically and mentally taxing this is. This is exactly what Sydney father, Allan Donnell, will do in this year's SF Super Series. He will go the distance for his two children Isla and Jude who are battling Sanfilippo Syndrome. Where do you live /what’s your day job? I live in Freshwater one week and Curl Curl the next. My day job is working in IT, so it's not very physical, apart from a walk to the coffee shop in the morning. My two children suffer from this terrible condition. As a parent there can be nothing worse than watching all of the dreams you had imagined for your family slowly slip away. Ever since Isla (10) and Jude (8)were diagnosed, I’ve been running more than ever. 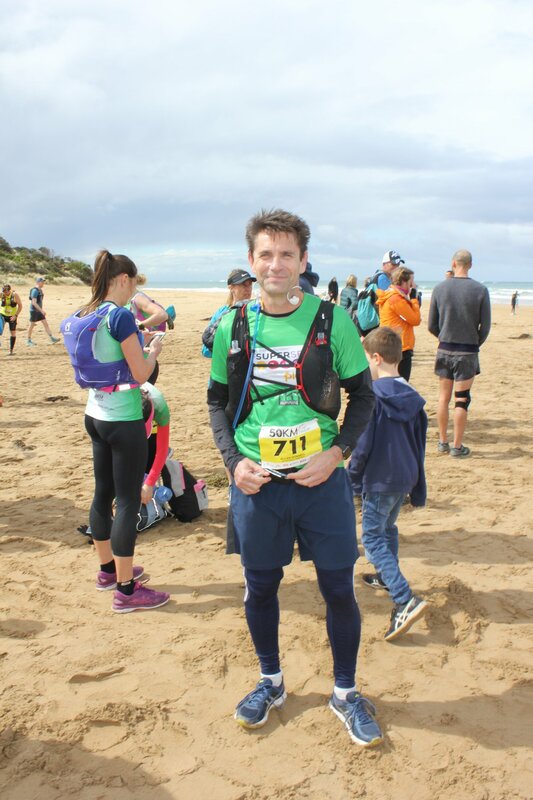 I’ve competed in four Surf Coast Centuries and last year I completed my first 50 km run... I've realised there are so many good souls in the world, willing to hear about the cause and to help in any way they can. 3. Make sure you stretch before and after each run! 1. Just ask people – they can only say yes or no. That’s a 50-50 bet, which are pretty good odds. 2. If you are in a workplace, have a chocolate box. Buy them for $1 sell them for $2 that’s 100% mark up, which is a pretty good profit. You’ll be surprised how quickly it adds up. 3. Bunnings BBQs are a great way to raise funds, and create awareness. It’s always a good fun social day.